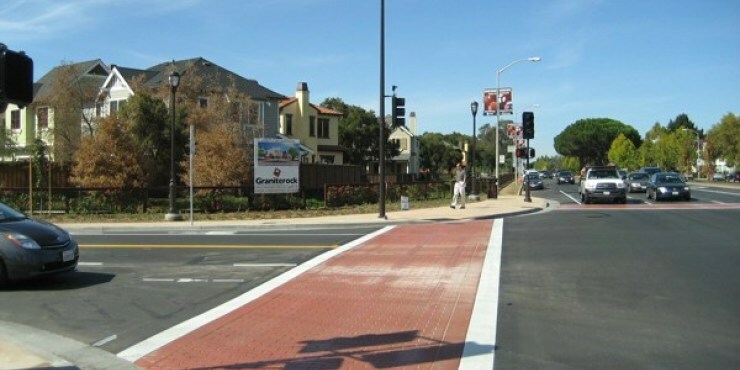 The City of Palo Alto wanted to improve the pedestrian and bicyclist safety along Stanford Avenue at the intersection with State Route 82 El Camino Real. This was important to the Owner because of the number of children and bicyclists in the University Village neighborhood. In order to do so, the project called for the four corners of this intersection and the median island to be reconstructed. The new sidewalk areas were designed to “bulb out” towards each other and the median island was widened. This created a shorter and safer distance for pedestrians to travel when crossing the street. To accommodate the new sidewalk alignment, new drainage systems, street lighting, and traffic signal systems were installed. 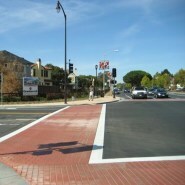 A hot mix asphalt overlay, decorative colored crosswalk (stamped asphalt), and new striping were also installed. The adjacent landscaping and irrigation was also upgraded as a result of this project. The project was completed in October of 2011 and the final contract amount was $1.06M.